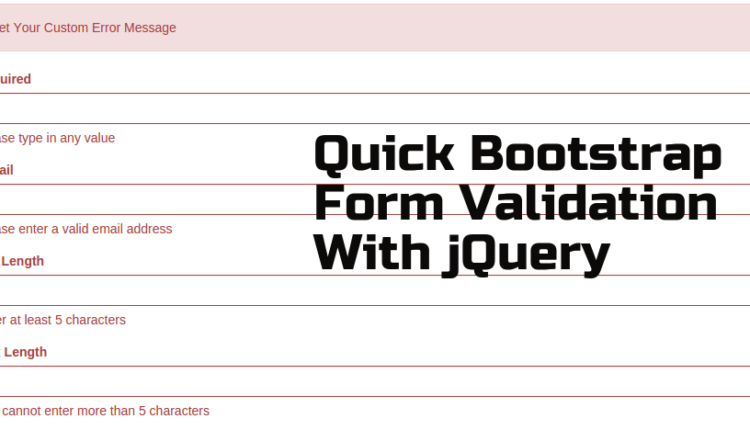 In my new post I going to share lightweight jquery plugin to add Quick client side Validation on your bootstrap form. Validator.js is a cool lightweight jQuery validation plugin for Bootstrap that shows error messages for invalid form fields before submitting and helps to prevent submission of wrong inputs data. You can easily customize error messages with your own custom messages. 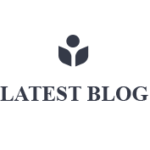 Follow below steps to add validation on your bootstrap form. 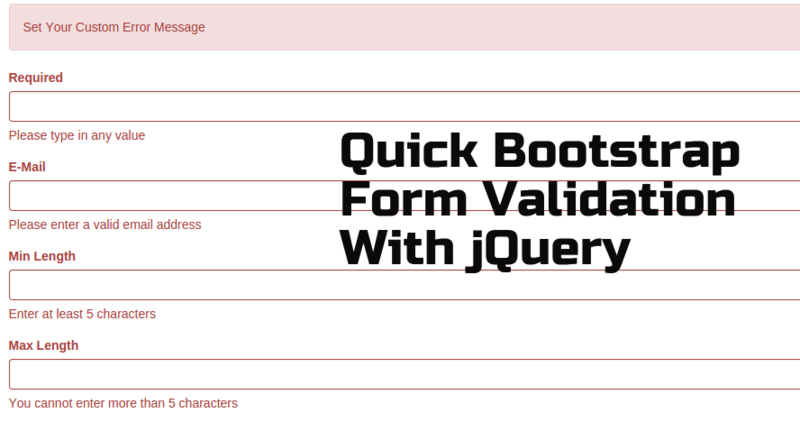 Add bootstrap library after that add validator.js on page. For demo purpose created sample HTML form with almost all the input types. Finally Initialize the plugin and apply the validation rules to the form fields, You can also put your own custom messages.